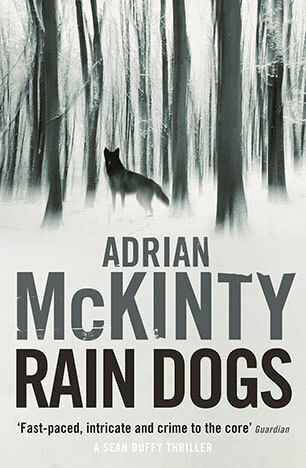 Adrian McKinty gives DI Sean Duffy another ‘locked room’ mystery to solve in his fifth Irish police procedural novel, Rain Dogs. When the shattered body of an English journalist is found in the locked grounds of Carrickfergus Castle, it is assumed the young woman committed suicide but something is not quite right and Duffy can’t leave it alone. With the patient assistance of Lawson and McCrabban the Irish detective unravels a shocking conspiracy with roots in the highest echelons of power spanning three countries. It’s an interesting puzzle solved by Duffy’s intuition, dogged investigative skills, and disregard for authority, which I enjoyed trying to figure out. Lily Bigelowe’s death also pits Duffy against an old friend leading to a life and death confrontation. Set against the Belfast’s “Troubles’ and referencing real events, this story, as are McKinty’s others, is well grounded in time and place. Riot police are a necessity at every public event and as a matter of course Duffy checks under his car every day for a bomb. The wintry weather underscores the bleak social and political atmosphere, and Duffy’s dismal personal life. I’m enjoying this gritty series, entertained by Duffy’s dark wit and the strong, interesting plots. I’m looking forward to the next. Previous Review: Confucius Jane by Katie Lynch Next It’s the 2016 Australia Day Book Giveaway Blog Hop! I’m enjoying the series as well Shelleyrae, though I only started with Gun Street Girl. I enjoyed this one a little more I think!